Take a moment to think about how efficient your current productivity system is. Are you getting things done in a well-organized, effective way? Are you even aware that you have a productivity system? Despite what you might think, you do have one—you probably just don’t realize it. Step away from the jargon and a productivity system, at its core, is simply the process you go through to complete tasks. It may not be a complicated one; in fact, it could be as simple as mentally noting what you have to do for the day and then getting things done through recollection. On the other hand, when some people are getting things done they go to great lengths to plan out every aspect of their lives down to the minute. You may have everything you have to do for the next week (or years) mapped out in calendars and planners, or carefully programmed into your smartphone. If you’re thinking well, I’m not very good at getting things done so I must not have a productivity system you would be wrong again. You have a system; it simply isn’t a good one. Collecting your mail from your mailbox and dumping it on the table every afternoon and then trying to sift through the mounds of junk mail to find your electric bill is a system—just not a good one. Extremely simple or vastly complex, effective or not, you definitely have a productivity system. If you’re one of the people who are extremely efficient, have no trouble at all completing tasks, and can get things done without any stress at all take a moment to congratulate yourself. You don’t even need to read past this point. Is random and disorganized –You are able to get certain tasks completed but other aspects of productivity won’t fit within your system and the system seems to shift from one day to the next with no central focus or methodology. Is extremely complicated – You are spending too much time planning your tasks instead of actually doing them. Is one-dimensional – Your productivity system works for your professional life but not for your personal life too. Is too strict – Your system begins to fail the moment any type of crisis or unplanned circumstance happens. If any of those systems sound like you, there is a solution: Getting Things Done (GTD). 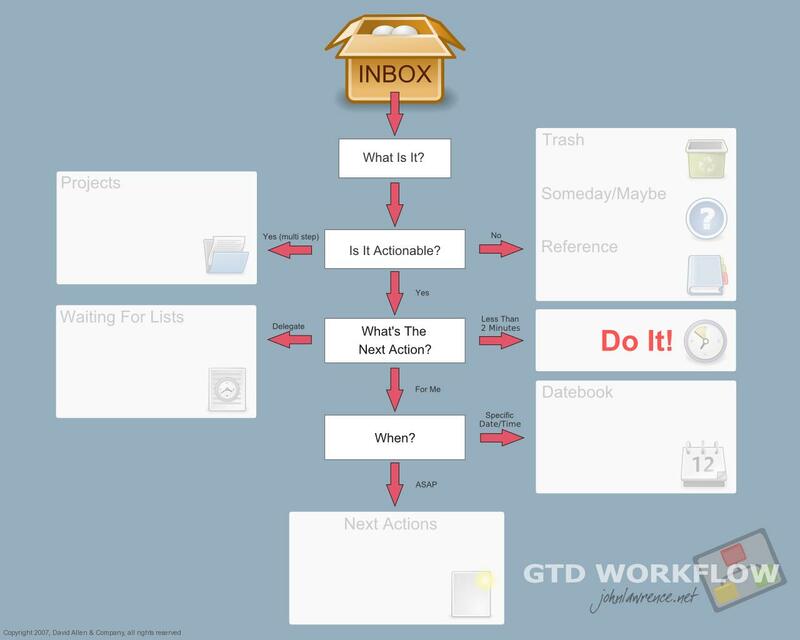 With GTD you can take control of your life and start being more organized, efficient, and productive in your personal and professional life. Question: What type of system do you use to get things done? Is it effective or do you need some help? Comment here. Don’t forget to check out the next article on increasing your productivity and getting things done. Those politicians in DC sure could use this! No joke! Thanks for the comment. I am sure that the politicians could use this, but they also need to learn to work together before they will be able to get anything done.